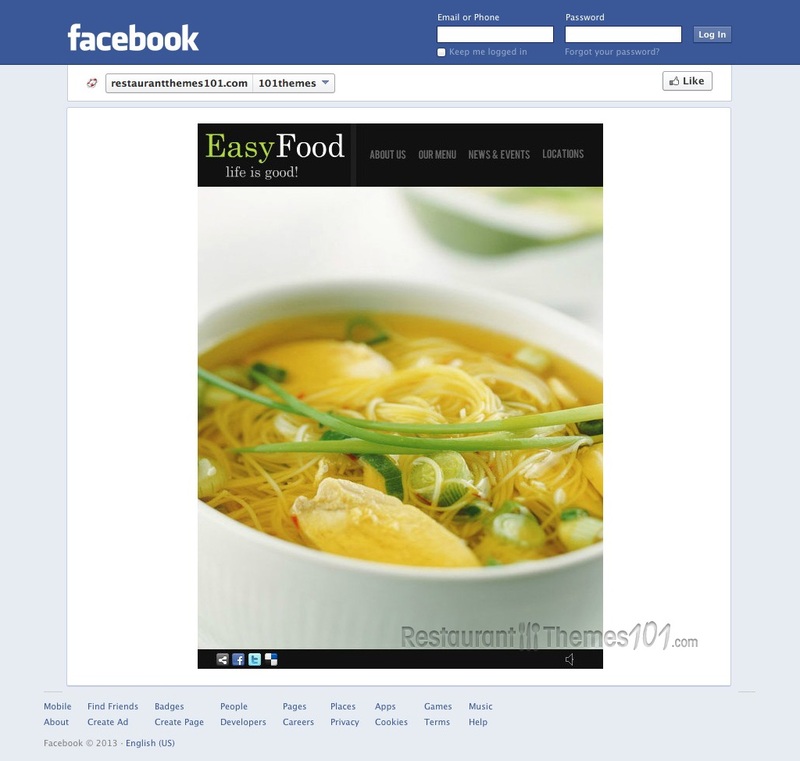 Creating a Facebook page for your restaurant is always a great idea, but if you want your page to be unique and differ from all others, you will need a good Facebook restaurant page template. 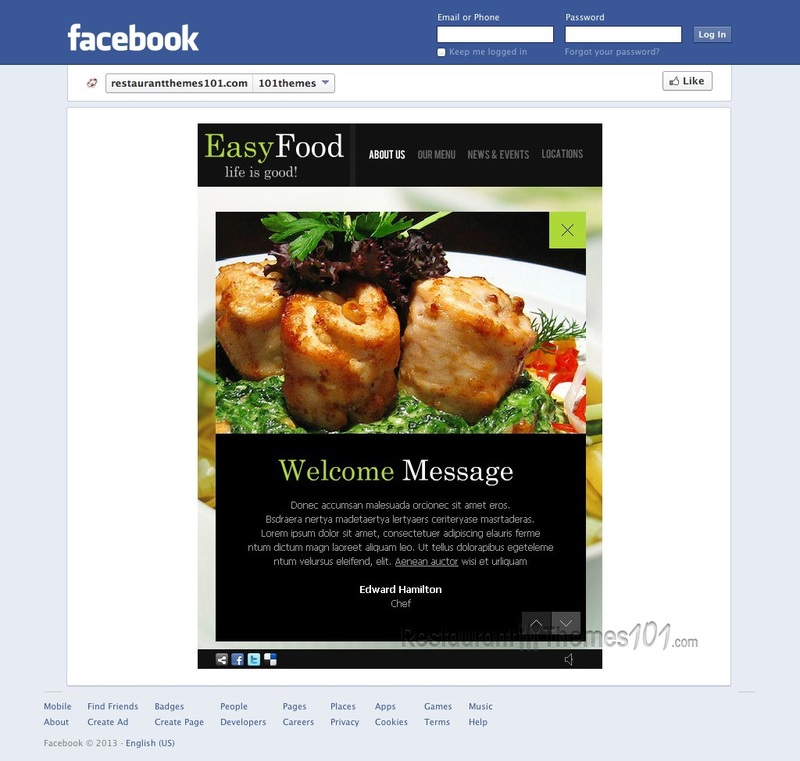 Template Monster features Easy Food, a template created by Delta. 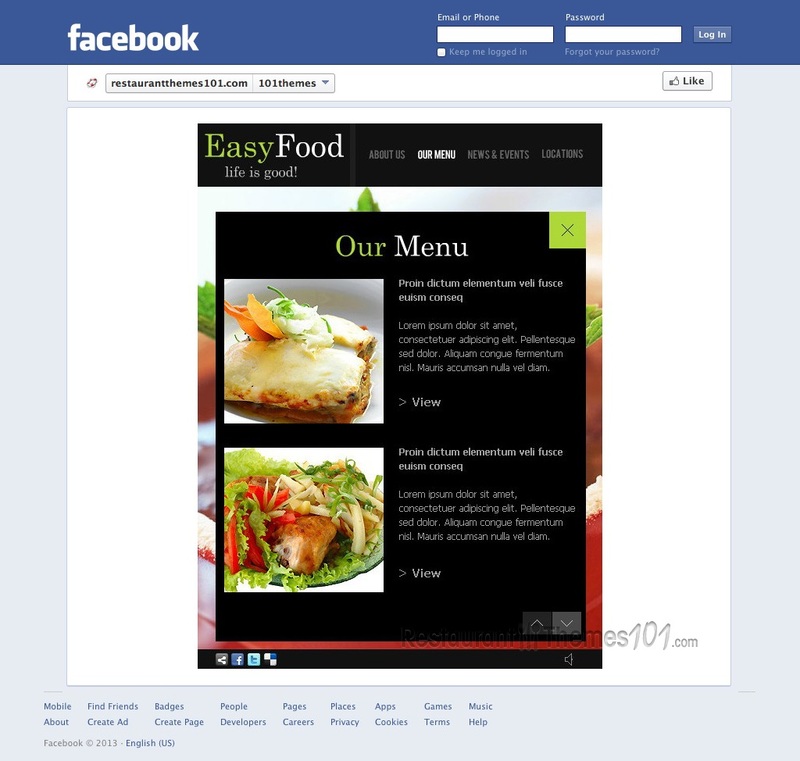 Easy Food will make a great impression on your visitors the second they open your page. The front page features a huge slider where you can place photos of your delicacies, all of it followed by nice tunes that start auto playing, giving the whole page a very pleasant look and feel. There are several sections featured, and they will give you a lot of content space, making your page look like a mini website. Each of these sections opens up in a very interesting way, and you will be able to post many things that will grab the attention of your visitors. The about us section is there for you to leave a nice welcoming note and bring your readers a bit closer to your restaurant, making them feel cozy and pleasant, and you can follow it up with nice photos of your delicacies or photos of your restaurant. This template offers a really amazing menu, giving you the option of adding a photo and detailed description for each item, making this a complete menu, not just a short version of it. News and events can be presented as well, and again you will be able to add nice photos here as well, along with dates and event descriptions, making sure your readers are updated at all times. 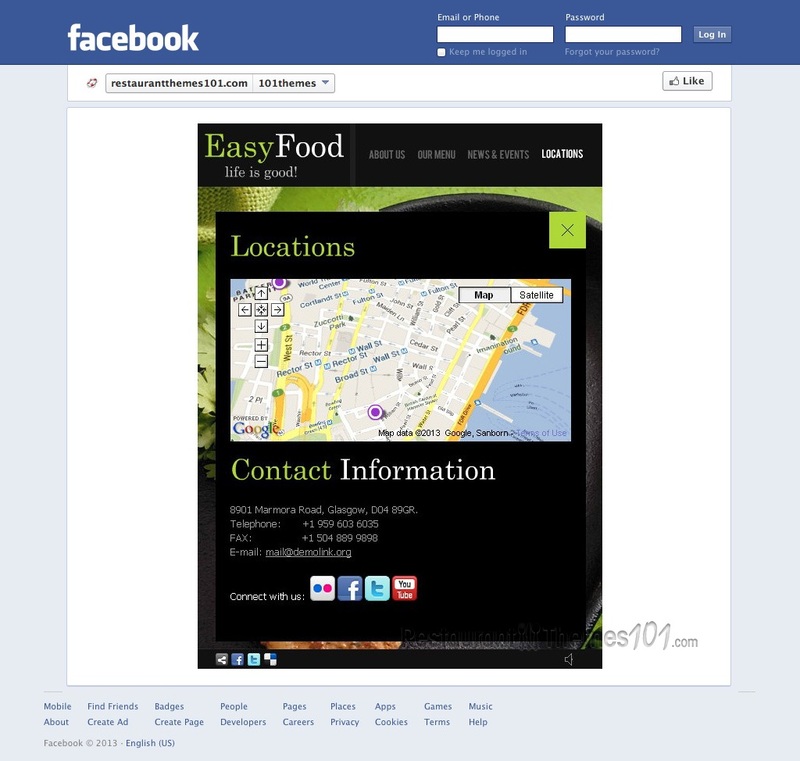 The locations section features Google Maps integration placing a small map with direction to your restaurant right there on your page. Other social networks buttons are included also, giving you even more sharing possibilities, making sure you can connect with your accounts on these other networks as well. This is truly a nice looking, attractive template that is very easy to customize and maintain.